To tidy or not to tidy? Find out in this magically funny story! 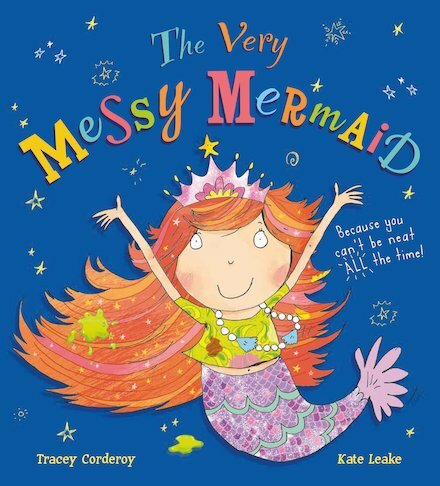 Twinkletail is a very messy mermaid – and her neat-freak parents can’t stand it. So they’ve vowed that her birthday party MUST be neat and tidy. That means no wild party games, no sticky-fingered friends and absolutely no cake. (Just think of the crumbs!) Oh dear. It doesn’t sound like much of a party. Poor Twinkletail can’t help feeling glum. Luckily, her Fairy Godmother has a plan. Things are about to get messy!